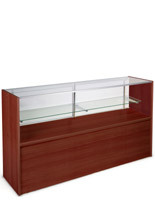 Finely crafted from melamine laminate for affordability. 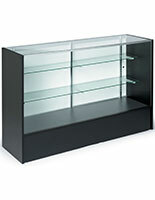 Adjustable shelf accommodates products of various heights. 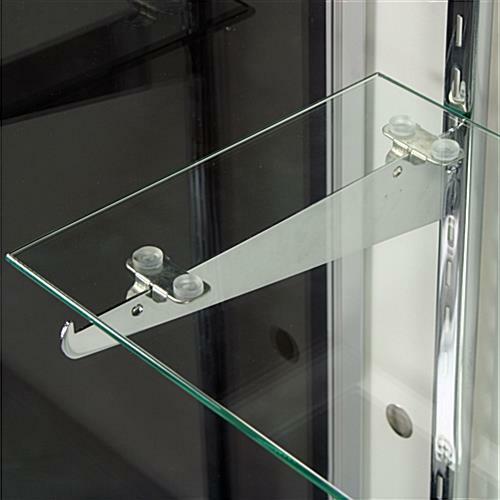 Sliding doors for easy access to the merchandise. 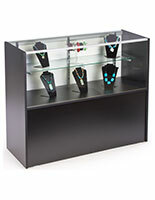 Sleek and contemporary design to coordinate with any environment. 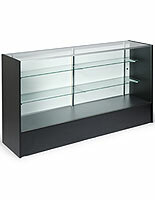 These 6’ showcases have a half-vision design. 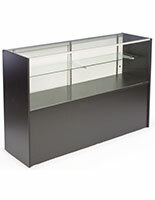 The top half of a fixture is a glass display case in which users can present a variety of products, such as jewelry and figurines. 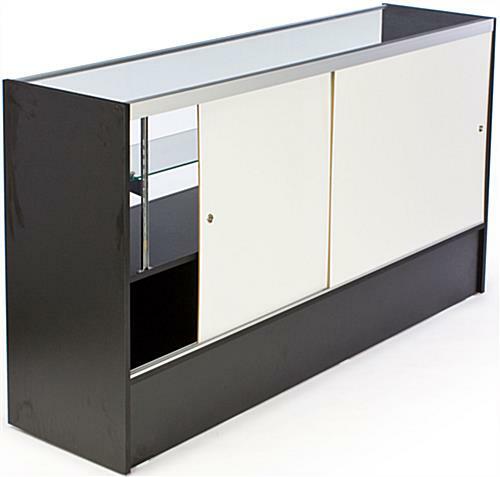 Sliding doors are located on the backside of the showcase, which allow full access to the interior presentation space. 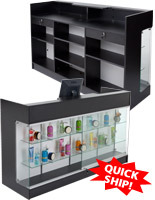 There is also a separate enclosed storage area, underneath the glass display case section, in which users can store supplies and presentational equipment. 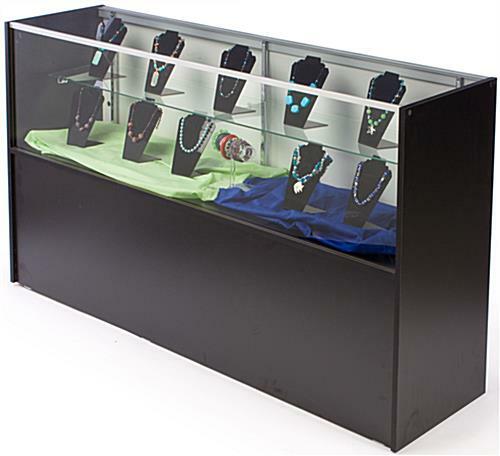 These 6’ showcases are made from laminated particle board and tempered glass. 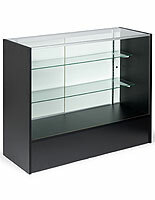 The display case section also has an aluminum frame for added strength and style. 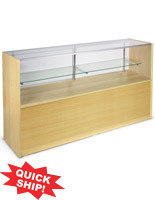 These 6-foot-wide display cases require some assembly. 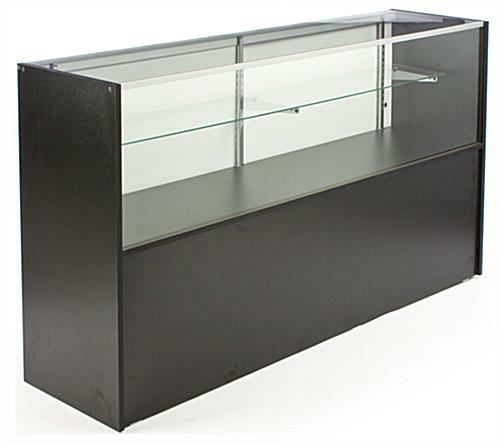 70.0" x 38.0" x 17.5"
68.5" x 9.3" x 15.5"